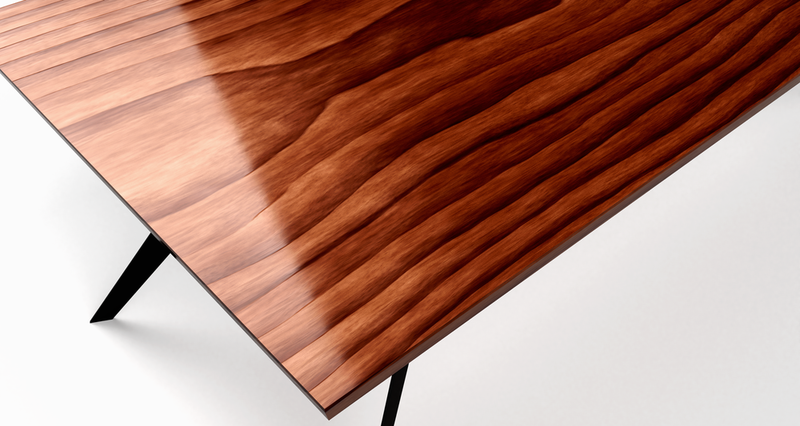 Our Vanni Walnut Dining Table is the most architectural and minimalist table we've designed yet. The chamfered edges and geometric legs give this piece a tasteful stance and beautiful blend between steel and wood. The thick solid American Walnut tabletop has a slight edge long chamfer to help the eye transition better from the top to the legs. As with any natural material, variations in the texture and color of the wood are to be expected and are not defects. Italian Designed, American Made. 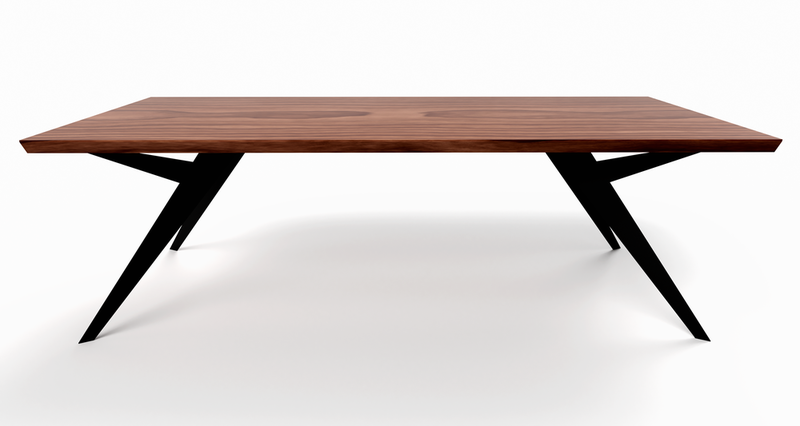 Our Vanni Walnut Dining Table is the most architectural and minimalist table we've designed yet. The chamfered edges and geometric legs give this piece a tasteful stance and beautiful blend of steel and wood. The thick solid American Walnut tabletop has a slight edge long chamfer to help the eye transition better from the top to the legs. As with any natural material, variations in the texture and color of the wood are to be expected and are not defects. Italian Designed, American Made.